MONDECITO, California — While the image and capability of the Suburban family of sport-utes may have been honed on ranches and in hard hat areas like oil fields, most of these behemoths nowadays are housed in upscale areas like this Santa Barbara suburb. They’ve been a steady source of profits for GM as a result. Only this year, they’re undergoing something of an identity crisis. 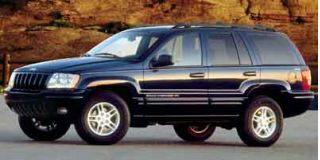 While the Chevrolet Suburban stays the same, the GMC version gets a new name that sounds straight out of a Wal-Mart circular —Yukon XL. 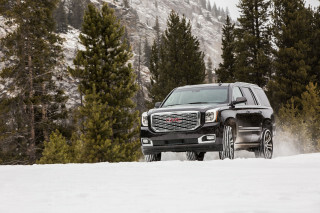 "Capitalizing on the Yukon name gives GMC full-size sport-utility vehicles a distinct identity in the market," said Denny O'Donnell, Yukon brand manager. "Yukon is a name that clearly means 'GMC,' and GMC means trucks that deliver more capability than may be needed." The new Yukon XL is an evolution of a product that was introduced in 1935. 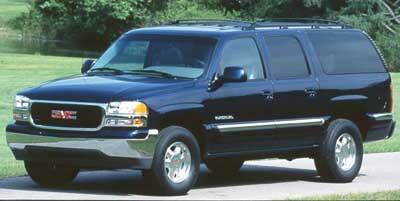 The first Suburban pioneered the full-size sport-utility segment. 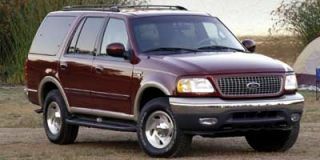 It provided customers with a durable, reliable, go-anywhere vehicle with plenty of cargo space, passenger seating and towing capacity. 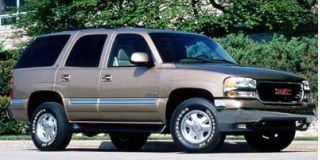 For 2000, the Yukon XL’s design builds on the look established by the all-new 1999 Sierra full-size pickup. 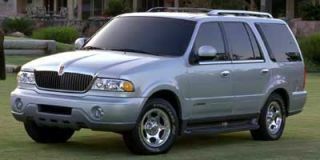 While only a grille and badges distinguished previous GMCs, lower fender lines and bulged hoods give 2000-model GMC designs distinctive and brawny appearances. Yukon XL adds four-wheel anti-lock disc brakes with larger brake pads, three Vortec V-8 engines, standard front seat side-impact airbags and more reliable electrical and cooling systems. Serviceability is also improved through an exclusive oil-life monitoring system and long-life fluids. Even with a new more spacious interior, Yukon XL has the same exterior dimensions than its predecessor and is actually more maneuverable with a smaller turning diameter. Overall ride and handling have also been improved. For enhanced vehicle control, Yukon XL offers advanced systems on both two- and four-wheel-drive models. A traction-assist system available on two-wheel drive models reacts to low-traction conditions faster than the driver could. On four-wheel-drive models, an optional Autotrac active transfer case automatically transfers torque to the front wheels when needed. The Premium Smooth Ride Suspension (optional on K1500 Series) features self-leveling rear shocks to adjust and maintain level vehicle trim heights and help improve handling. The fully automatic Autoride "Real Time Damping" system uses information from wheel height, steering and other sensors to continuously vary shock damping while driving. In addition, electronic sensors control a compressor pump that keeps the rear of the vehicle level with the front. This proved to be a remarkable benefit when towing a trailer over rough terrain when compared with competitive vehicles. 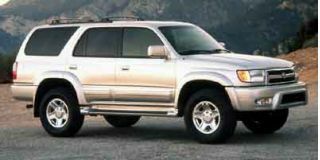 Yukon XL has an independent torsion bar front suspension on both two- and four-wheel-drive models. A new five-link rear suspension uses coil springs instead of leaf springs to create a smoother ride. "Get the structure right, and you'll create a more comfortable, stable, vibration-free environment," said Chief Engineer Ken Sohocki. 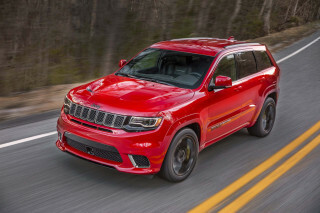 "For the Suburban/XL, this was accomplished by increasing the number of welds by 25 percent, optimizing weld location, and doubling the stiffness of major body sections and joints." To that point, the frame is fully boxed for added structural stiffness to help reduce vibration, squeaks and rattles. Hydroforming (using high-pressure water presses to shape the aluminum pieces) is used in strategic areas such as the front/rear rails and engine crossmember and adds strength and improves dimensional control. There is more head and hip room in all three seat rows. Ease of entry is helped with a lower step-in height and wider door openings, and third seat access is improved by increasing the clearance behind the sliding second-row seat. Second-row seats were moved back, adding legroom. Still, there are competitive models with easier rear-row access, and the narrow running boards seem too narrow for comfortable use. Interior room was maximized by more efficient packaging of heating/air conditioning ducts and by moving the spare tire underneath the vehicle. The Yukon XL offers generous cargo room without removing the rear seat through a new "fold and stow" feature. Engineers made seat removal easier by incorporating safety belts into the seat assembly and providing wheels and a carrying handle. And true to form, it can still carry a 4-by-8 sheet of plywood on the load floor between wheelhouses. This year, customers can choose between a liftgate or split rear cargo doors. Ironically, GM pioneered the Dutch door on its Astro and Safari vans that allows easy rear access without the rear view-impeding center divider but doesn’t offer it on these new products. The XL’s air conditioning system provides quicker cool downs and optimal continuous cabin temperature. Optional electronic dual-zone climate controls allow passengers to maintain two different temperature levels. The new Vortec V-8s feature more power, an average 4 percent improvement in fuel efficiency, increased durability and reduced tailpipe emissions compared with the engines they replace. 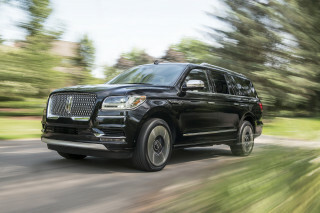 The 1500 Series Yukon XL will come standard with the 5.3-liter V-8, while 4.8-liter and 6.0-liter versions are optional. Soon the Isuzu-developed diesels will become available, but there are no large gasoline engines at present. The new engines get mated to a family of more durable and "smarter" four-speed electronically controlled automatic transmissions, and they live up to GM’s fine reputation. New features include a larger sump, which increases the amount of fluid, reducing heat and improving durability. 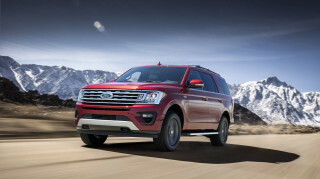 For the first time in history these big sport-utes have a competitor from Ford, and look for GM to respond to their models and features with changes and options on the XL and Suburban. Look for most of them to be clogging trendy driveways from Buckhead to Beverly Hills.